The Hugo Awards 2019 finalists were announced on April 2, 2019. Of the many categories listed, Nnedi Okorafor features in two different ones. The Hugo Awards are given annually for the best science fiction or fantasy works and achievements of the previous year. The awards are named after Hugo Gernsback, the founder of the pioneering science fiction magazine Amazing Stories, and were officially named the Science Fiction Achievement Awards until 1992. Organized and overseen by the World Science Fiction Society, the awards are given each year at the annual World Science Fiction Convention as the central focus of the event. The awards have announced those in the running for literary glory this year in the different categories. They are Best Novel, Best Novella, Best Novelette, Best Short Story, Best Related Work, Best Graphic Story, Best Dramatic Presentation – Long Form, Best Dramatic Presentation – Short Form, Best Professional Editor – Short Form, Best Professional Editor – Long Form, Best Professional Artist, Best Semiprozine, Best Fanzine, Best Fancast, Best Fan Writer, Best Fan Artist, and Best Series. They also have awards associated with the Hugo and these are John W. Campbell Award for Best New Writer and The World Science Fiction Society (WSFS) Award for Best Young Adult Book. 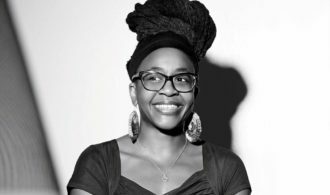 One name we noted on the lists is Nnedi Okorafor who has featured as a finalist and winner in the last few years. This year Okorafor is there in the Best Novella Category for Binti: The Night Masquerade and the Best Graphic Story Category for her work on Marvel Comic’s Black Panther: Long Live the King. Below is where the author features alongside other finalists in her category. The winners will be announced in mid-August. Previous Previous post: Leye Adenle makes UK CrimeFest’s eDunnit Award 2019 shortlist. Next Next post: Yewande Omotoso is Bottari Lattes Grinzane Award 2019 finalist.